When it comes to getting your Bachelor of Science in Nursing (BSN), the length of time from start to finish is based on a number of factors. Although the common phrase might be "four-year degree," that doesn't mean everyone completes their coursework in the same amount of time. Careers in the Medical Field: The Sky's the Limit! 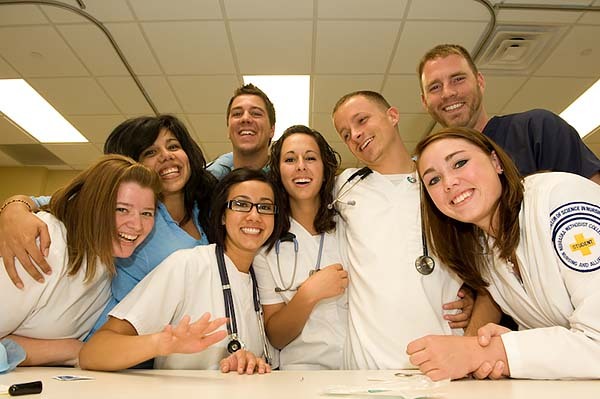 Healthcare is a huge field with a wide variety of career paths. Everyone’s familiar with doctors and nurses, of course, but do you know about the many other options? There are a lot of not-so-well-known healthcare jobs that have great pay, are in high demand and provide an opportunity to work with and care for patients. Nebraska Methodist College has embarked on an exciting new partnership that aims to provide traveling nurses with the opportunity to further their careers in the healthcare field. Nebraska Methodist College Director of Enrollment Services Megan Maryott has heard dozens of misconceptions. You’ve probably even heard some of these rumors yourself. We asked Megan to set the record straight on the most common myths and give us the facts instead. Read on to learn the real deal.